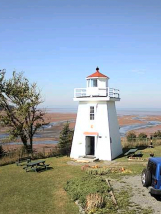 East Hants is home to the world’s highest and lowest tides, creating a playground like no other on the planet. 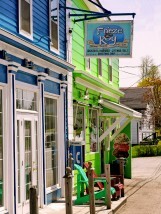 In East Hants, you will find a 4 season eco-adventure destination with recreational opportunities around every corner. Exploring our many parks and trails is a great adventure for the whole family. With over 50km of trails, these recreational assets provide many benefits to those living in East Hants and greater Halifax area. Not only are trails important for improved health, and quality of life; but, they provide different experiences, and strengthen the social fabric of our neighbourhoods. Constructed in 1873, the Walton lighthouse is one of the few lighthouses in which you are able to climb the stairs and access the lantern room. As a popular tourist spot one can enjoy the breathtaking landscape and enjoy the tides. Located at 119 Lorne Smith Road off the Highway 215 in Walton, one can enjoy the picturesque park complete with washroom facilities, gazebo, picnic area, and walking trail! 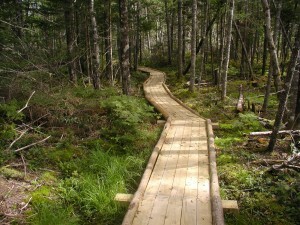 Located off Old Enfield Road in Nine Mile River and developed by a volunteer group in partnership with the Municipality of East Hants and the Province of Nova Scotia; the Nine Mile River trail wanders through a variety of forest types and terrain using a combination of developed trail and boardwalks. At approximately 10 kilometres in total, this multi-use trail offers hours of outdoor adventures. Take in the foliage and enjoy the views of the various trail loops. The subdivision of Garden Meadows in Belnan is home to the Garden Meadows Trail System. Still in the early stages of development the ever expanding trail offers residents and opportunity to explore their neighborhood while getting to enjoy the outdoors! 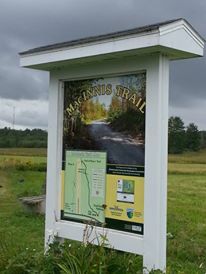 Milford Rec Trail is located at 288 Highway 2 in Milford. 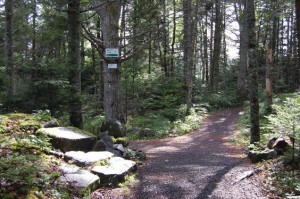 The 2.2 km trail is an easy walk through scenic woods. Maintained by the Milford Recreation Association, the trail can be enjoyed all year round! Located in the Village of Shubenacadie, this 2.2 km loop provides pedestrians not only beautiful scenery but a sense of tranquility. 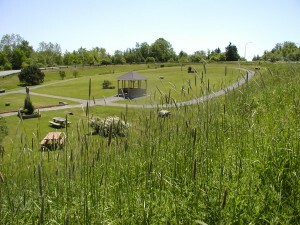 Rex McCoul Park is an urban walking trail. 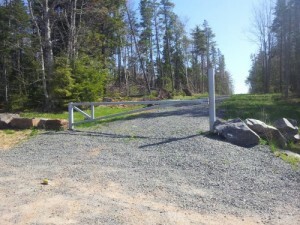 Located on Highway 2 in Shubenacadie this quaint park is great for an outdoor stroll or picnic in any season. 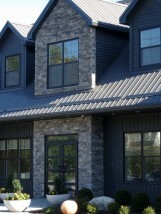 Along the peaceful shores of Lake Martha, at 758 Highway 1 in Mount Uniacke is the Uniacke Estate Park. Built almost 200 years ago by then Attorney General Richard John Uniacke the elegant country estate now a provincial museum is a beautiful heritage site to visit! Eight interpretive nature trails will help you explore the sprawling 930-hectare estate with its rich natural heritage, historic archeological sites, and splendid forests and vistas. The over 18 km of trails contain 6 loops ranging from moderate to challenging and will definitely provide hours of refreshing outdoor activity. 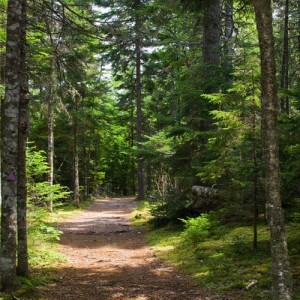 Bell Park is a historic 55 acre nature park located on Hwy 1 in Mount Uniacke with more than 2 km of signed trails. The series of walking trails provides an easy hike for pedestrians and pets through a mix of spruce, pine, and various hardwoods. Offering views of West Lake, look offs, and picnic area, Bell Park is definitely a great outdoor destination. Dot Buchanan Park Trail is operated by the Enfield, Elmsdale & District Lions Club the trail is accompanied with a playground, baseball diamond, soccer fields, volleyball court, and an indoor facility. 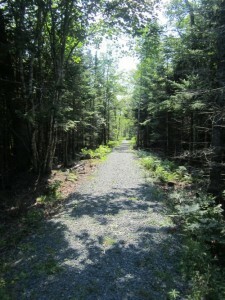 At approximately 1.7 km this wooded trail offers different loops to explore. 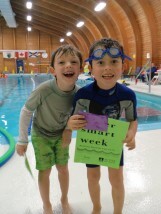 Designated as an easy trail walk it boasts fun for individuals of all ages. The McKeen walkway connects Bakery Lane and Boyd Ave via the Municipal water line easement across the lands of Marie and Leah McKeen, and made available for public use. The walkway is provided for walkers and non-motorized vehicle use only. Dogs must be on a leash and picked up after. Part of the water route section of The Great Trail, this park is located at 71 Green Road in Lantz. It has a floating dock to launch your canoes or kayaks, picnic areas and a 1.2 km hiking trail through the woods and along the river. The trail is uneven and has tripping hazards so watch your step. 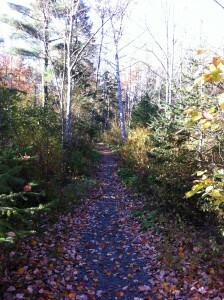 This is a great starting spot to to go down the river, about 7.5 km to Wickwire Station and about 23.5km to Shubie Park. Part of the water route section of The Great Trail, this park is located on Hwy 2 in Milford, at the driveway to the National Gypsum Mine. 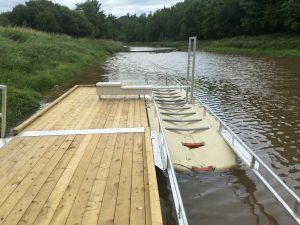 This location has two accessible outhouses, a look-off with views of the river, picnic areas and a floating dock with a EZ Launch system to launch canoes and kayaks. The EZ Launch system is great for people with disabilities, children, seniors or anyone else who needs a little extra help launching or recovering their canoe or kayak. From this location you can go upstream 7.5 km to Brickyard Park or downstream about 16 km to Shubie Park. Depending on the Tidal Cycle you will hit tidal waters somewhere between Wickwire Station Park and Shubie Park. 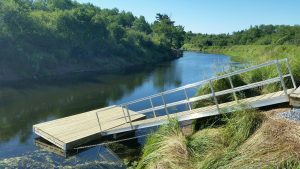 Part of the water route section of The Great Trail this park is located on Hwy 2 in Shubenacadie, this is a great location to launch your canoe or kayak, have a picnic by the rivers edge or to fish from the shoreline. This area is tidal and not recommend for a kayak/canoe beginners. 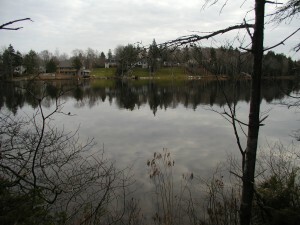 There is parking and a public dock where a canoe or kayak can be launched into the clam and tranquil Lewis Lake . Located at 1070 Highway 2 in Lantz, this skate park is great for beginners to experienced skateboarders, scooters and BMX riders. It consists of an area of “plaza” or “street” features and a 4′ flow bowl. Located at 628 Highway 1 in Mount Uniacke, this skate park is also great for beginners to pros on skateboards, scooters and BMX’s. This park consists of an assortment of street/plaza obstacles and features, and was built in the shape of a check mark which allows more users on the park at the same time.